HIPAA violation fines can be issued by the Department of Health and Human Service’ Office for Civil Rights (OCR) and state attorneys general. In the majority of cases, covered entities and business associates accept there have been potential failures to comply with certain elements of HIPAA Rules and a settlement amount is agreed and the case is resolved with no admission of liability. In addition to the settlement, a corrective action plan is issued to address HIPAA failures. When HIPAA-covered entities disagree with the findings of the investigation, a civil monetary penalty may be issued. While OCR issues fines for HIPAA violations, attorneys general tend to choose to pursue financial penalties against HIPAA covered entities under state laws rather than HIPAA, if equivalent laws exist at the state level. Actions for violations of state laws tend to be easier to win and the penalty structure at the state level may allow higher financial penalties to be issued. Only a handful of states have exercised their right under HIPAA/HITECH to pursue financial penalties for violations of HIPAA Rules against HIPAA-covered entities and their business associates. State attorneys general can issue fines for HIPAA violations up to a maximum of $25,000 per violation category, per year. 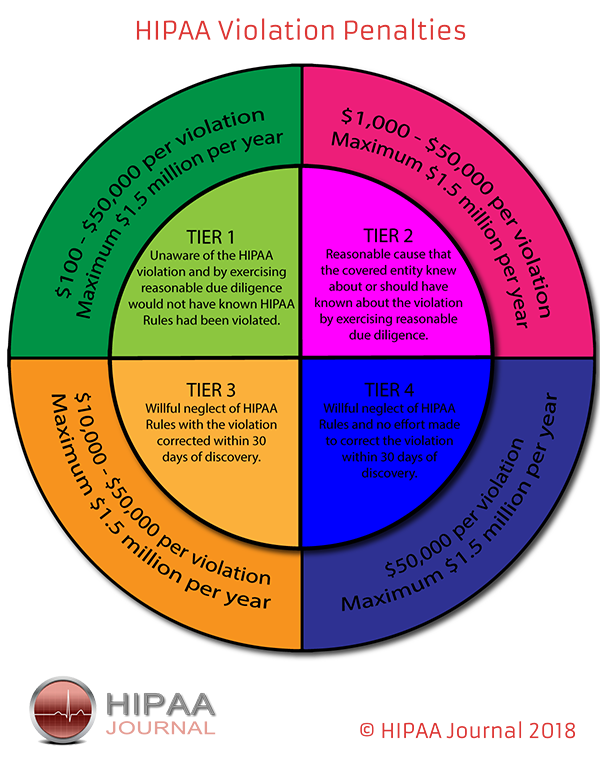 Listed below are the HIPAA violation fines and settlements issued by the HHS’ Office for Civil Rights since the HIPAA Enforcement Rule was signed into law. Cases have been included if there have been potential violations of HIPAA Rules even if the financial penalty was issued for violations of state laws.